Another day, another tweak. 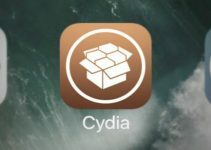 Avertas ports Kaze, which is considered a classic jailbreak tweak by many, to iOS 11 firmware. You can download this cool new tweak for your iPhone, iPad, and iPod touch below. Admit it, the stock app switcher is boring and offers little to no customization opportunities to users. That is where this new tweak comes in. Avertas ports Kaze Cydia tweak to Apple devices running iOS 11 and above. It is developed by 1nc0nsist3nt, who is a newcomer on the tweak development scene. 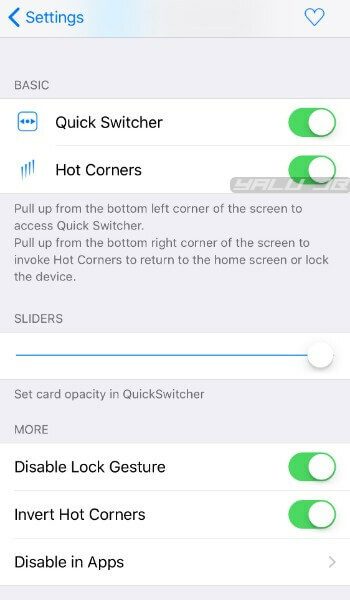 Since it is based on Qusic’s code, the Quick Switcher, Hot Corners, and the lock screen and home screen gestures work just as well as they used to on older versions. Quick Switcher (on) – Enables the Quick Switcher feature. Hot Corners (on) – Enables the Hot Corners feature. Sliders (maximum) – Sets the opacity level of app switcher cards. Disable Lock Gesture (on) – Disables the lock gesture. You should turn this option off if you are using other tweaks or if it interferes with gestures. Invert Hot Corners (on) – Inverts the position of Hot Corners. Turn this option on if you want to access the switcher from the right-hand side of the screen. If you use the exact same Settings, your app switcher setup will look something like this. It’s one of those tweaks that brings aesthetic as well as functionality improvements. If you are looking to tweak the stock app switcher, Avertas is worth an install. Recommended. As of now, the Quick Switcher feature doesn’t work inside apps. It closes the app and then displays the app switcher. The developer is facing issues fixing this glitch and may release a patch in the next update. As far as tweak compatibility goes, refrain from using it alongside LittleX. All other jailbreak tweaks, particularly those that modify the app switcher, should work just fine. Avertas is available for download on BigBoss repo for free. It is compatible with all devices running iOS 11 (except for iPhone X).